Here is another tip for making great looking paper quilled jewelry! Make sure to check out all of the other tips here. Today’s tips is regarding the thickness of the open circles and borders that you use for paper quilled jewelry. An open circle is when you wrap a paper strip around an object. You can then pinch the open circle into a teardrop, leaf shape, or other shape if you wish. I use open circles for many of my designs. Here is one design that I use both open circles and a border for. To make sure your jewelry is smooth and sturdy, the open circles and borders need to be thick enough. A larger open circle or border needs to be thicker than a small one. 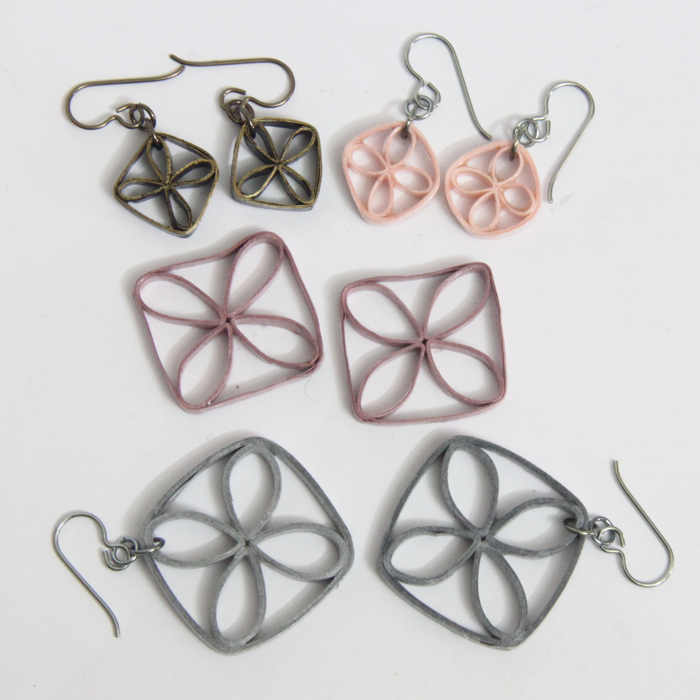 The top two pairs of earrings are of my small lattice design. The large mauve color is my first attempt at making a large version. You can see that the thickness seems to be about the same, but it does NOT look as good. I used longer lengths of paper for the grey one. The design with the thicker shapes and border keeps its shape MUCH better and looks smooth and sturdy. If you are making a design using open circles or borders and it just doesn’t seem to be holding it’s shape well, try again using longer strips of paper so it ends up thicker. Thicker=smoother=stronger! 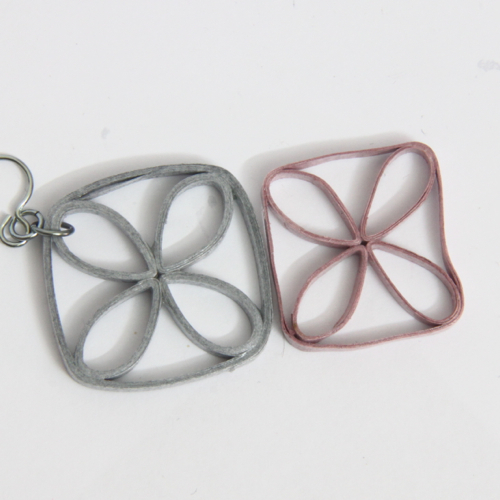 If you are interested, check out the tutorial I have for making the small lattice earrings along with several other designs.